For anyone who needs stealth on their side, they’ll need a bipod to aid them. Foregrip bipods are excellent for rifles and tactical shotguns, so we put together this review of the best foregrip bipods we could find on the market. We’ll let you know at the end which we chose as our personal favorite. Foregrip bipods can enhance your shooting in a variety of ways, depending on which features they have. One of the most defining features is the height extension range you’re seeking. This will determine what obstacles you can clear and how frequently you’ll need to reposition yourself for the best shot. The other major feature you’ll need to consider is whether or not you want the swivel ability. Obviously, a swivel feature will also reduce your need to reposition or adjust, but it’s surprisingly a little more difficult to find bipods that have this. 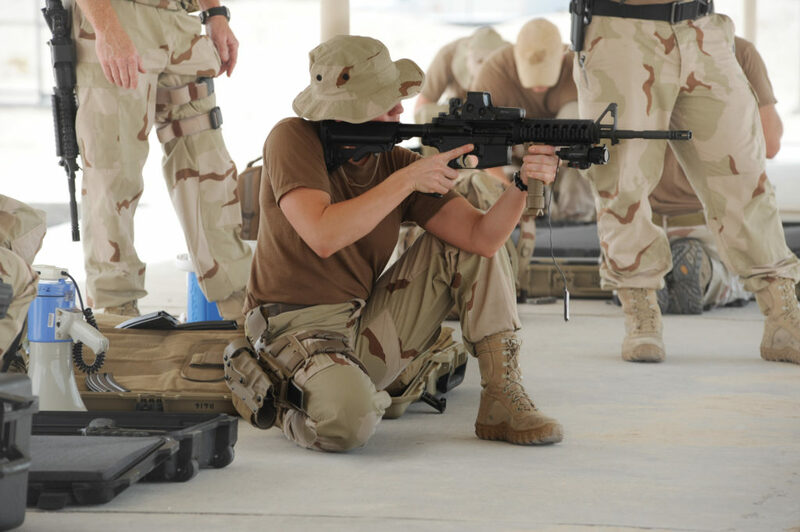 Many shooters may also prefer a stable position for target acquisition. You’ll have to be willing to spend additional money if you want the option to adjust your cant. 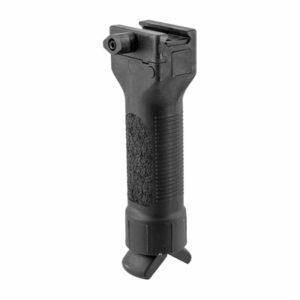 Materials – The GPS, LLC Le Model Grip Pod is made of quality polymer that has been reinforced. It stands at just over six inches in length, when the legs are retracted. With legs extended, this bipod gives seven inches to nine inches of height, and they’re made of reinforced steel. There is a large button to activate quick deployment, when time is of the essence. The grip itself is designed with deep grooves and comfortable padding for a good palm swell and solid grip, even when the shooter’s hands are wet. This foregrip bipod attaches simply to a Picatinny mount, and it’s available in either all black or all tan. 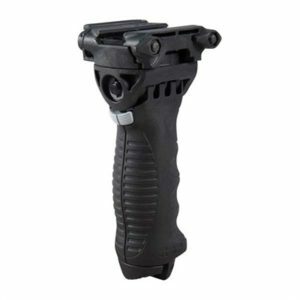 Performance – The GPS, LLC Le Model Grip Pod is a very standard and basic model, and it’s on the lower end of the price range as well. That’s not to say that it’s a bad choice, either! The construction is quite sound, and the legs deploy and function well without being flimsy. The legs’ feet are flat, and we do wish they were either a little wider or had better gripping capability to the ground. However, this is a great option for shooting or practicing on a range. There’s even room for forend accessory rails, if you’re using it with a non-AR rifle. It’s lightweight, compact, and it’s a great product for a first time bipod buyer. What we say – The GPS, LLC Le Model Grip Pod is one of the best foregrip bipods for shooters who are on a tighter budget or intend to utilize it for very stationary shooting. If you’re on a range, and you don’t need to swivel, you’ll get a lot of good use out of this option. Materials – The Fab Defense Vertical Foregrip is housed in a reinforced polymer grip, and is made up with steel and aircraft grade aluminum components. To utilize, the shooter pulls the six inch grip open, and then extends the legs. The legs themselves extend the height of the bipod from six inches to eight inches, and each leg has a capped foot to stabilize on the ground. 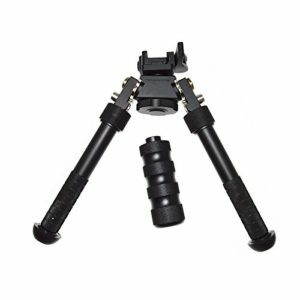 This bipod attached with a Picatinny mount, and it allows your firearm to swivel a full 45 degrees, from left to right. It is also a quick detach mount. It is only available in black, and it’s a more compact version of a similar bipod produced by Fab Defense. Performance – The Fab Defense Vertical Foregrip is the only option within this review that opens to extend, instead of legs deploying straight from the center. This way, the grip can either be held by two hands when needed, or there will be a better center of gravity and balance during shooting. 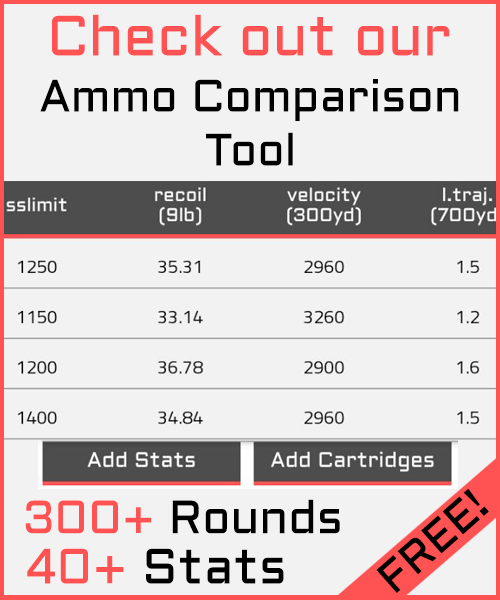 This will ensure you can resist recoil better and shoot more accurately. The feet on this bipod make us a little happier than others too. Although they are flat against the ground, they are actually wider than the legs. Plus, this foregrip bipod has a swivel feature! It will take a little longer for deployment or retracting the legs, but we are talking about a few seconds, really. What we say – The Fab Defense Vertical Foregrip is one of the best grip bipods out there on the market. Having the grip open all the way to the Picatinny mount offers a better distribution of weight and allover balance. The swivel feature makes it a great choice for tactical use. Materials – The GPS, LLC. V2 Grip Pod is another product from GPS, LLC. worth mentioning. This option is made entirely of reinforced polymer in both the grip and the legs. It’s available in black, tan, or olive drab green. The grip is more ergonomically shaped than many others, and it’s filled with deeps grooves to provide a stable grip. It also has a highly textured pattern on either side to fit in the palms. The legs have flat feet at the bottom of them, and they extend from just under six inches to just over eight inches in length. The quick deployment button is conveniently located where the thumb would sit, but is placed strategically to avoid accidental deployment. Performance – GPS, LLC offers one of the widest selections of foregrip bipod on the online market, and we’re also big fans of their V2 Grip Pod. This is certainly a step up from the more basic Le Model option. The grip itself is more ergonomically shaped, and it offers multiple textures that are similar to a pistol grip. It was definitely one of our favorites! We were disappointed to see that the feet on this option had the same problem we mentioned before: they’re not wide enough. There would be a better center of gravity and balance if the feet were wider than the legs, but we suppose it is the way it is for better storage. Either way, this is a very durable foregrip bipod. What we say – The GPS, LLC V2 Grip Pod is the best choice for shooters who really like the grips they see on handguns. You’ll get a great palm swell, a highly textured hold, and the fit is shaped to the palm. Materials – The FIRECLUB 2017 Tactical Bipod is a slightly different style from what we’ve seen, but it’s a worthy competitor. The construction is made of aluminum, and it’s available in either black or dark earth. Unique to this style of bipod is the detachable foregrip, which is positioned between the legs. The grip is highly padded, and it features four points for holding as well as finger grooves. The legs quickly deploy, and the extend from about five inches to nine inches. 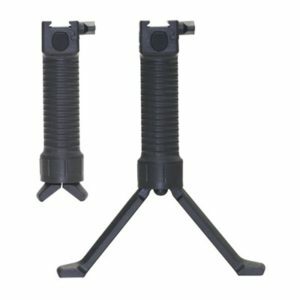 The feet on each leg are rubberized and curved, so the bipod stays stable over rocky terrain. For storage or transportation, simply fold the legs together, pick up the bipod, and go. Performance – The FIRECLUB 2017 Tactical Bipod offers a different style for the shooter who isn’t always going to want a foregrip option. Since the grip is removable, this style is very versatile. This also means it’s another option where the legs fully expand and provide a better overall balance. This is the only choice with rounded feet, so you can maneuver the bipod easily while you aim your target. The only issue with this style of bipod is that you’ll probably want to remove the grip every time you collapse it for transport. Otherwise, the grip sticks straight out, so it won’t fit perfectly in a bag or carrier. What we say – The FIRECLUB 2017 Tactical Bipod is the best foregrip bipod for shooters who, well, don’t always want a foregrip bipod! You can easily switch between whichever style you choose. Plus, this option is significantly more affordable than the other options within this review. Our favorite foregrip bipod to use was the Fab Defense Vertical Foregrip. The main reason is that this was the only option we could find that was both a true foregrip bipod and completely opened and deployed. You’ll be getting the best balance and stability with this option, which does nothing but improve your accuracy on the range or for other tactical purposes. Our second reason for selecting this bipod was for its wide feet. They are flat, but they have a slight angle, meaning they cover more surface area on the ground. This makes swiveling a possibility, without having to reposition the entire setup. The Fab Defense Vertical Foregrip is one of the more affordable bipods in this market, so it’s an option everyone should consider looking into.